The strategic #ItalyMechatronics project has been officially launched, pushed by Diego Andreis, this time as President of the Mechatronics Group of Assolombarda. The aim of the project is to reposition and enhance this key sector of the Italian economy, an area in which Fluid-o-Tech is a leading player thanks to its sixty years of experience. “We need to evolve from Mechanical Engineering to Mechatronics, the mechanics of the future” declared Diego Andreis during the press conference held in Assolombarda. “Mechatronics relates not only to the production process but also to products where mechanics, electronics and computers converge, opening opportunities that until yesterday were unimaginable. Mechatronics is not just technology: it is organisation, greater security, and new opportunities. We must develop the paths of companies, focusing on their excellence on a local, national and international level. We need to relaunch their profiles and appeal, especially with regards to young people, whose talent companies desperately need and to whom the sector offers significant employment and growth opportunities." The 4 driving forces behind the Mechatronics repositioning project are the same moving Fluid-o-Tech and its staff on a daily basis: the first driving force is the Mechatronic Man, because great business evolutions are most definitely thanks to the skills and talent of the men and women operating them. The second driving force is represented by the Mechatronic Company, because, for the first time, change did not concern only production processes, but also the very ways of doing business. The third driving force is the Mechatronic Engineer, or rather the product of work by companies and technicians at work. The last driving force, the Mechatronic Universe, is the entire ecosystem of relationships, connections and values that link businesses to the territory, citizens, institutions, and associations. 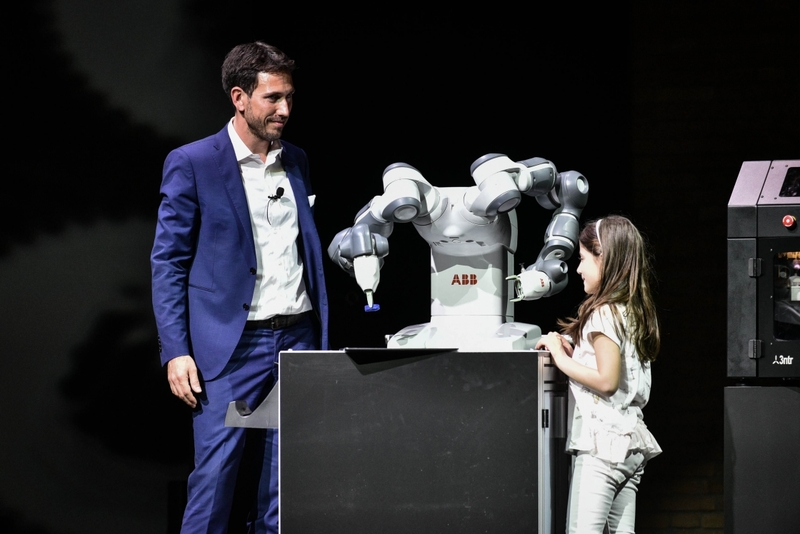 "The Importance of Being Mechatronic" was the name of the performance that brought Mechatronics and its leading players to the Piccolo Teatro theatre of Milan. Diego Andreis welcomed robots, actors and artists, young students, philosophers of science and researchers on stage, each one to share their story of the fascinating combination of mechanics, electronics and computers, the digital evolution of factories, demonstrating the beauty, art, poetry, humanity and potential for the future and for young people. Giving a voice to those studying to become interpreters of this new future world were ITS Sesto San Giovanni mechatronics institute students, promising young men and women who have been hosted by Fluid-o-Tech over the past few years as they alternate between school and work. Pictured in the final moment of the show: Diego Andreis, in the role of entrepreneur, imparting the passion, soul and opportunities of Mechatronics to the new generations. In our new #ItalyMechatronics web and social spaces, we will describe the experience of Fluid-o-Tech and its key players, Mechatronic technicians working in this ever-changing world with commitment and enthusiasm.